No one quite knows the origin of this wagtastic holiday, but we all know that dogs love these treats. 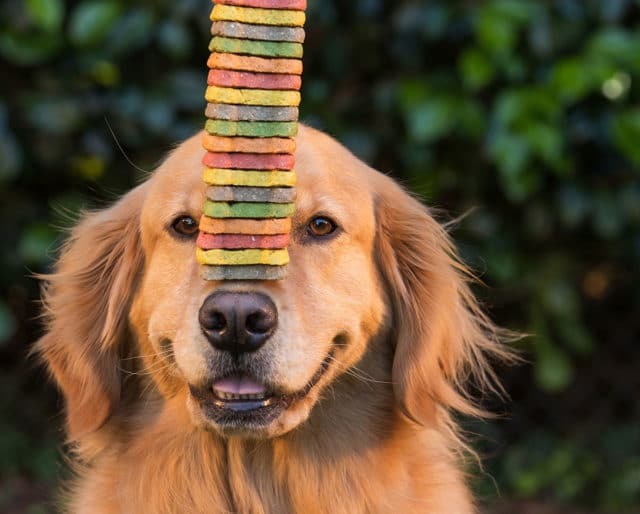 Created in the mid-19th century by American James Spratt, the cake-like biscuit comprised of meat, grains and vegetables have evolved over time, but are still dogs favorite reward. So lets raise a baked treat to International Dog Biscuit Appreciation Day (Feb. 23) and our companions who love them. Call, text, email, or tweet your friends and have them join you for a doggie play date. Have each of your friends brings their dog's favorite biscuit, then create little goodie bags containing one of each. Go to your local animal shelter and coordinate an adoption day. As a special gift, donate a bountiful amount of dog biscuits that can be given to the new pet parents and their newly adopted furry family member. Get festive, get messy, get decorative! Invite some friends, buy plain dog biscuits (we love Milk-Bone's Classic Dog Biscuit), grab dog-safe decorating icing, and let your creativity flow. Reward the best decorated and then let your dogs enjoy! There are an array of dog biscuits that are made with various premium ingredients. These dog treats provide a daily dose of protein and multivitamins that help your dog maintain a healthy diet throughout their life. Training a new pup can be hard work. Using dog biscuits to reward a well behaved dog, is a simple and proven method that reinforces positive behavior. Dog biscuits are one of pups' favorite treats. They're packed with real meat, vegetables, and savory flavor. Dogs love them and will love you for giving them one.